Jürgen Klopp believes Mohamed Salah’s all-round game has evolved as he’s adapted to playing in a slightly different position for Liverpool this season. The forward has struck 14 times so far this term to lead the Reds’ scoring charts, netting most recently with a deft finish at Wolverhampton Wanderers on Friday night. 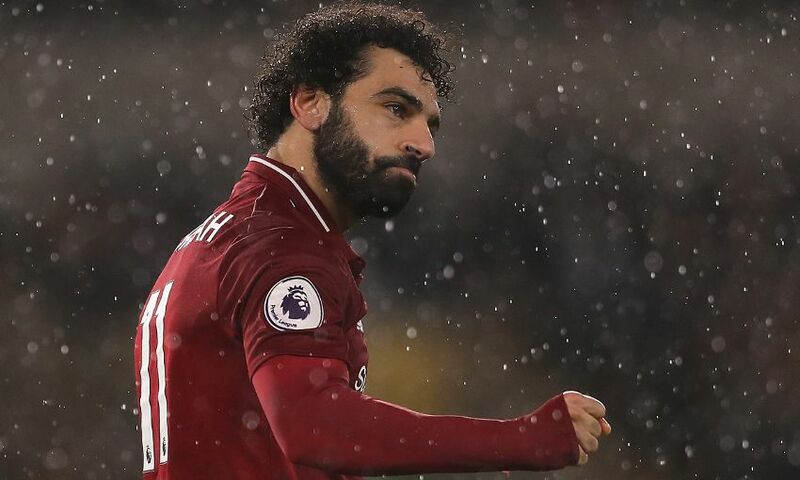 Salah was again deployed as the furthest player forward at Molineux – a position he’s operated regularly in 2018-19 – and produced an outstanding display, which also included an assist for Virgil van Dijk’s second-half goal. “It’s good,” Klopp told reporters at Melwood on Monday morning, when asked about the Egyptian’s development. “He had to adapt a bit to the slightly different positions; it’s not that much different, but it is different from time to time. “We need him as a link-up player as well and that’s a very important part of our game, but he is still with the desire and with his speed. His speed in the first few yards is just impressive. He is a very important part of our finishing situation in general, how we prepare them, how we come into the situations. “Of course, he is young enough to involve a lot more things in his style of play. It is not just speed, it is not just finishing, it is between the lines, there are a lot of things, there is keeping the ball, but you need your body for that. That was the only problem Mo had a little bit at the beginning of the season, a part of his body was not perfect. “If you work in an office and your shoulder is not 100 per cent, if it is not your writing hand then it should be OK, but if you are a professional football player in this moment it just keeps 10 or 15 per cent away.